There is so much debate about what diet/lifestyle choice is best for you and when you find what works for you, stick with it! If you follow a low carb, low GI, paleo or atkins lifestyle, you may sometimes miss fun foods like pizza from time to time. 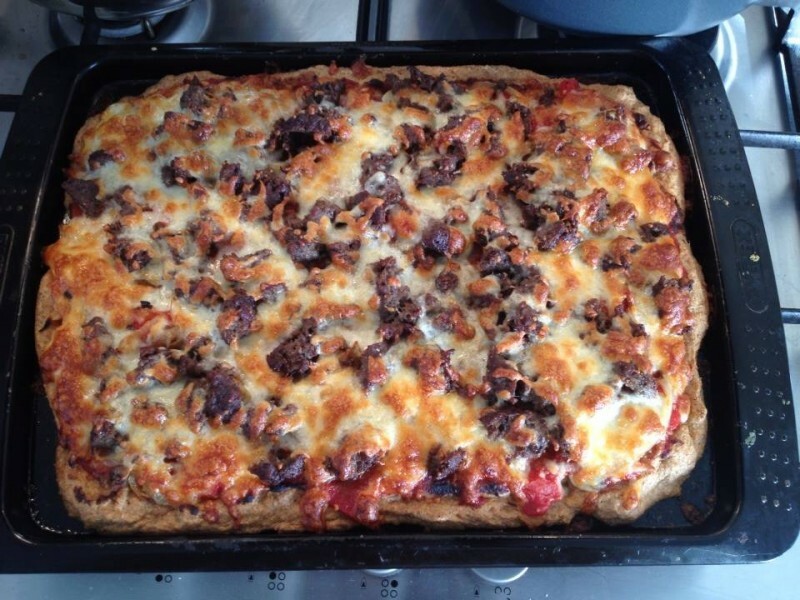 This recipe is a brilliant way to enjoy pizza once more in a health conscious way! Its contains high levels of protein and fat whilst low on carbohydrates… of course depending on your toppings! You can also forgo the cheese if you are dairy-free. whatever toppings take your fancy! Mix the linseed, baking powder, salt and sugar in a large bowl. In a separate bowl, mix the eggs,egg whites, coconut oil and water. Add the wet ingredients to the dry and mix until smooth. Leave to thicken for 5 mins. Spread out mix onto a greased baking tray and bake in the oven for 15-20 mins until crisp. Whilst this is cooking, you can cook you toppings if needed. Mix the tomatoes, puree and mixed herbs together and spread over base. Add toppings and cheese, bake in the oven for a further 10 mins or until the cheese has turned golden and gooey.